If you have ever applied for PAN card you are not received yet don’t worry now you can track your PAN CARD STATUS online through this page. 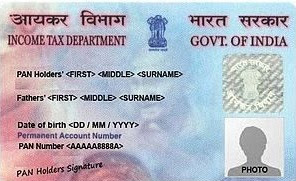 This page consist of all required info about to Know your pan card that you are looking for it. We provide complete and appropriate information about pan card like how to track pan card how to get pan card how to get pan card through your name, by your date of birth (DOB). Now days tracking pan card is very simple you can do it by using various methods, It is further simplified here with our guidelines and direct official links given in this post. The post also contains useful information on various uses of Permanent Account Number besides assisting you to KNOW YOUR PAN status online. What Is Pan Card? Is It Necessary? Your PAN card serves as an identity proof for many important services like opening bank accounts, credit cards, and phone connections etc., and now after demonetization PAN Card is mandatory for each sector whether it will be Private or Government. After demonetization for each transaction in your bank or firm you need pan card. Once you have applied for the card, you can track pan card status from various government portal. If you don’t have pan card and by seeing the importance of PAN you need your one, simply apply for PAN. For this you need an application form & it can be downloaded from the official websites of NSDL and UTI or else you can go to your nearest PAN office in your nearby cities or offices of NSDL, UTI which one is suitable for you. Form 49A is required for your new PAN card (only for Indian citizens). In other end for foreign citizens form 49AA can be downloaded to apply new PAN card for them. Also there are forms available for correction or to get new card for existing PAN number online. As we told earlier there are variety methods are there for checking your newly or correction PAN Card status. For each government official site there is different method to check your PAN card status. We are guiding all the methods to KNOW YOUR PAN status.